Divorce can be an emotional and stressful time in a person’s life. 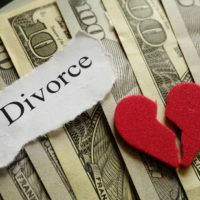 However, it’s important that divorcing couples refrain from letting this distract them from protecting their finances, especially for those who are in debt. Failing to take certain precautions can have devastating consequences for the parties involved who could find themselves struggling to get out of debt for years to come. To ensure that this doesn’t happen to you, you should consider speaking with an experienced Florida property division attorney who can walk you through the process of protecting your finances in preparation for divorce. It is critical that the couples involved not only calculate the amount that they owe, but also determine whose name the debts are in, how much the payments will be, and the names of the creditors. Once this has been accomplished, the parties should divide those debts into two lists, one for debt brought into the marriage and the other for debt that was incurred during the marriage. It is also important for divorcing couples who are going through the process of dividing debt to start working on obtaining original copies of all related documentation. At this point in the process, couples should attempt to split up their debts according to who actually took out the loan. If, for instance, one spouse took out a student loan before the couple were married, that spouse could agree to take out the loan without going to court and forcing a judge to make a ruling. In these types of cases, it’s often in a couple’s best interest to come to an out-of-court agreement about who is responsible for the debt, as it could save the parties both time and money. However, it’s important to keep in mind that even if one spouse agrees to pay off all of a debt after divorce, the other spouse could still end up on the hook for paying it if the debt remains in his or her name. This means that if an ex-spouse stops making payments after the divorce is finalized, creditors could still hold the other spouse liable for remaining debt. Similarly, a divorce order dividing debt will not necessarily affect who is required to pay off the debt after divorce if both parties’ names are on the loan. This is because a joint debt contained in a contract between a couple and a lender cannot be changed by a court order, which means that the debt could continue to show up on both parties’ credit reports. For this reason, it is important that spouses continue to check whether or not their debt payments are being made by the ex-spouse required to pay them after the divorce is finalized. In the event that one spouse is not paying the debt off as ordered, and both parties’ names are on the loan documentation, the spouse who is not technically responsible for the debt could end up taking a hit on his or her credit report. 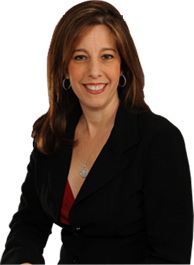 Please call dedicated Fort Lauderdale property division attorney Sandra Bonfiglio, P.A. at 954-945-7591 today for an explanation of how your debt will be divided upon the finalization of your divorce.